If you’re looking for a musical experience then the Pen Up Girls are the one’s to call. Since their inception late 2008 these musical chameleons has “Penned” for the likes of Monica, Jessie J, Melissa Etheridge, and a slew of amazing artists in the industry. 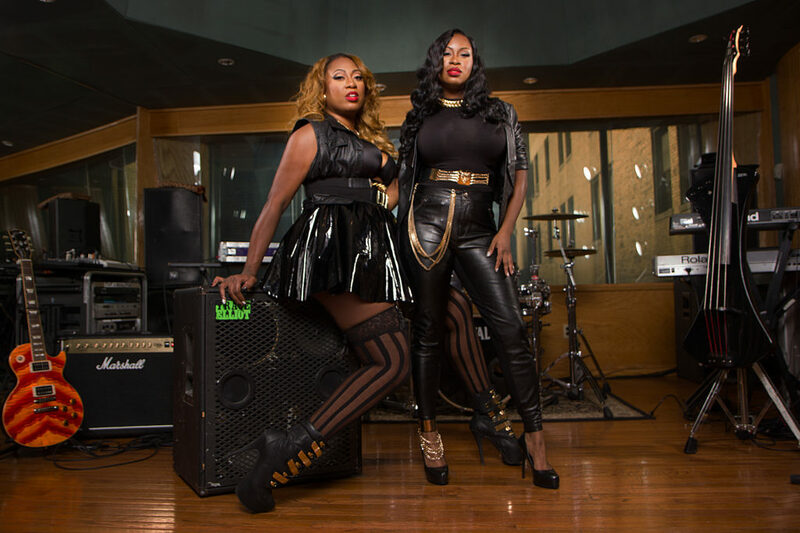 The Pen Up Girls does it all – from R&B to pop to Soul to Rock and their versatility is no doubt the effect of Fendi growing up in Brooklyn, New York and Natalie in Newark, New Jersey. Reggae, Soca, Rap & Blues was the foundation of their writing style individually and collectively they’ve fused it all together into the Pen Up Sound. Female empowerment is their driving force behind the lyrics. Vulnerability and the heart of the women sit right on the passenger side. No matter the genre the listener is left with some kind of emotion that resonates long after the song is over. Early in their careers Fendi was part of a girl group named Lyric on J Records at which she signed a publishing deal with BMG Chrysalis. Natalie moved from New Jersey to Atlanta to hone her craft and make a living singing demos for numerous producers. She quickly acquired her publishing deal with Sony ATV. The ladies realized not only were they writing great songs together but also they were also vocal arranging and coaching the artists. Soon they were being hired to prepare artist all over the world for upcoming performances, record label meetings or simply vocal lessons. So it’s safe to say the ladies are open to working with all kinds of aspiring artists with a dream and hard work ethics. Giving back is the endgame for the Pen Up Girls. There’s a clear difference between loving music and the music business. So educating our youth about the “music biz” is a passion for the ladies. Their motto is why use a sword when you can just Pen It Out.